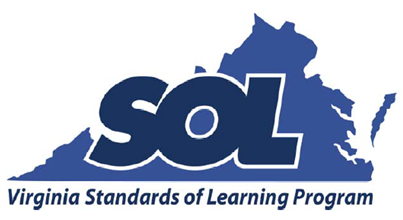 A new Virginia Board of Education policy requires schools to obtain parental permission in advance in order to allow students to retake an SOL before the end of the school year. In the past, students in courses required for graduation (other than writing) whose SOL scores were just shy of the 400 needed to pass were offered expedited retakes about three weeks after the initial exam. To qualify for the retake, students also needed to have a passing grade in that course. The policy has been changed to broaden the use of expedited retakes for all grades, but parental consent must be obtained in advance of the retake. Because time will be of the essence to provide extra tutoring and coaching to these “bubble” students, and because obtaining consent for remediation and retesting after scores are known will be very difficult, ACPS will be asking parents to sign the permission form for the retest prior to the initial SOLs. Some George Washington Middle School PTA members are worried that confused parents might either ignore it or choose not to return it. It’s not known how each of the schools will distribute the Expedited Retake Consent forms. But it will be important for all parents of students who are taking SOLs this year to watch for it in early May and to return signed forms promptly. For the coming school year, ACPS may want to consider including this form with the September welcome packet along with all of the other required forms. If you are looking for a great local camp for band, orchestra, and harp students ages 11 to 15, consider the Summer Music Camp on the NOVA Alexandria campus from July 6 to 10. For more information, see 2015 NOVA Music Camp Info & Registration or contact Lisa Eckstein, Camp Director, at lisa.eckstein@gmail.com. The City of Alexandria Department of Recreation, Parks and Cultural Activities is conducting a Program Interest Survey to help determine programming priorities by location, user group and time of day. The survey takes only a few minutes to complete and will guide the development of future program offerings. City residents and nonresidents are encouraged to participate. Surveys must be submitted by Friday, June 12.